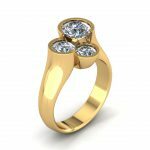 PARTIAL BEZEL CUSTOM BRIDAL SET – The Goldsmiths Ltd. 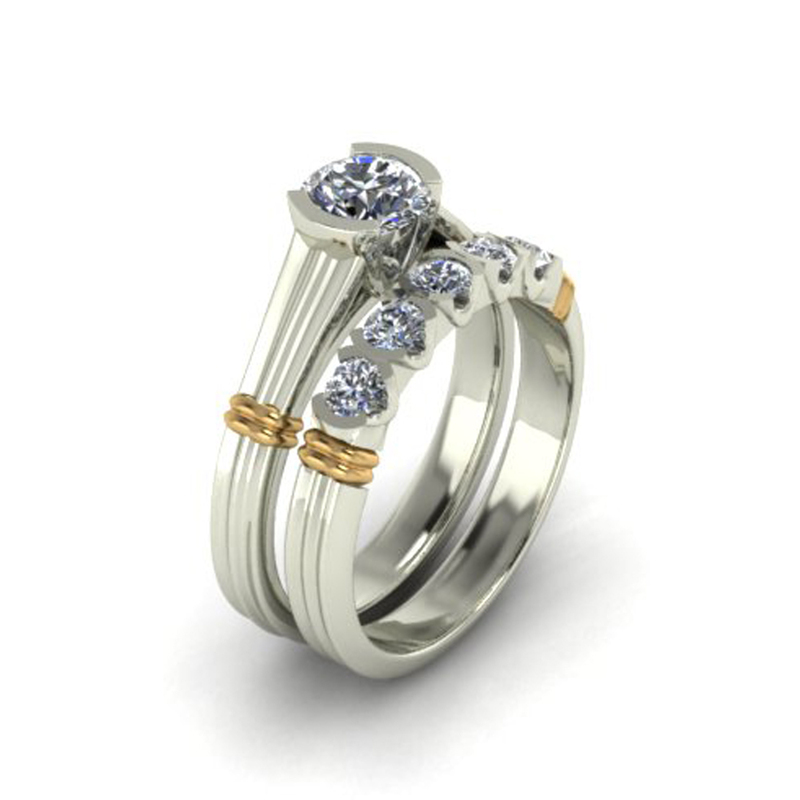 Partial bezels create a custom, modern look to this 14k white gold bridal set. The engagement ring features a solitaire brilliant round diamond set in a partial bezel. Five partial bezel set round diamonds are set in the wedding band. 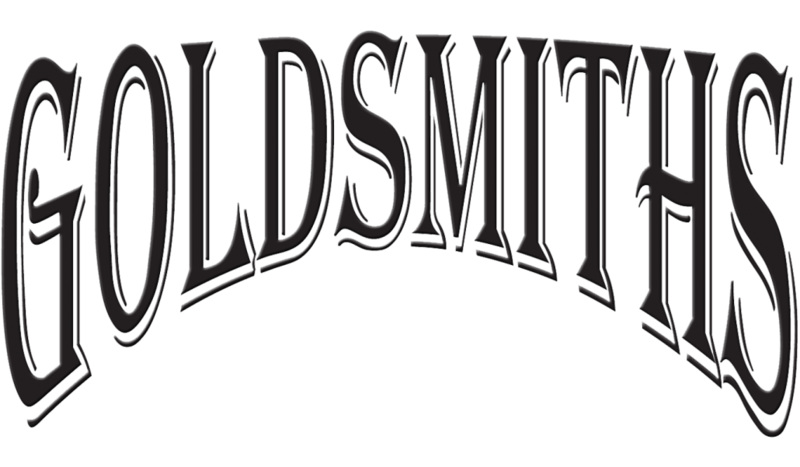 14 karat yellow gold bar accents are added to anchor the sides of the set.